Oh boy... I'm pretty excited to share about this project that I did back in March. 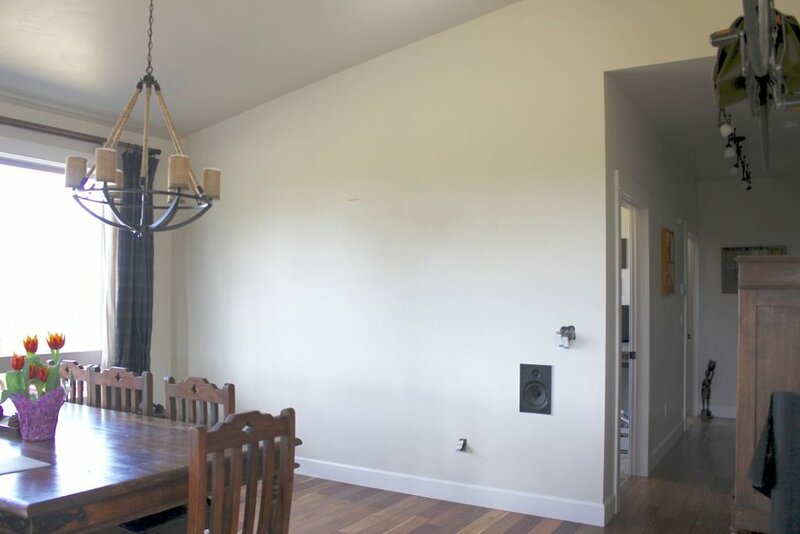 I'd been pondering the sad state of the interior design of our dining room for a while. This is how it looked for the last 3 years. There really wasn't much of an intentional decor or style going on. It was literally more like... Move in, find a spot for our existing furniture and call it a day! Anyway, it looked "fine" in there, but I just wasn't really happy with the overall feel of the room. Sometimes, when it comes to design, I get stuck in the "just decorate with what you have" trap. Do you ever struggle with that? Or, do you ever contemplate the family hand-me-downs/heirlooms that you're holding on to? That's a big one for me, especially since losing my mom in 2009. I have some really nice pieces of furniture from her, that meant a lot to her, but sadly, I'm not real crazy about them. And then at the same time, I just can't bear the thought of getting rid of them because I fear that I will regret it later. Like this armoire from the 1800's that she shipped over from Holland. It's a beautiful piece, but really, it doesn't go with our house and in fact, it's way too old and delicate for our boy filled home! Anyway, here are some of my other recurring design dilemmas. 1. I'm practical...If I already own a piece of furniture and it's functional....I keep it. 2. It's paid for... I don't have to spend money to buy something new. 3. Who's got time for shopping? Ok, I can make time, but I'm not good at it. I think it has to do with #2...I'm cheap and I have a hard time pulling the trigger on purchases. 4. Finding the time to focus on it and come up with a plan. I can't just throw things together... I'm not that good. I need to spend a lot of time contemplating and researching. 6. Making everything myself. Yup, I think it's a neurosis that I have. I literally want to MAKE everything. Why? It makes no sense when you figure out the time, energy and cost that it takes to hand craft things, verses buying them... Honestly, I think I just love the challenge of learning to make new things and I feel fulfilled when I create something. Ok, I've been blabbing away. Let's get to the reason for this post already! 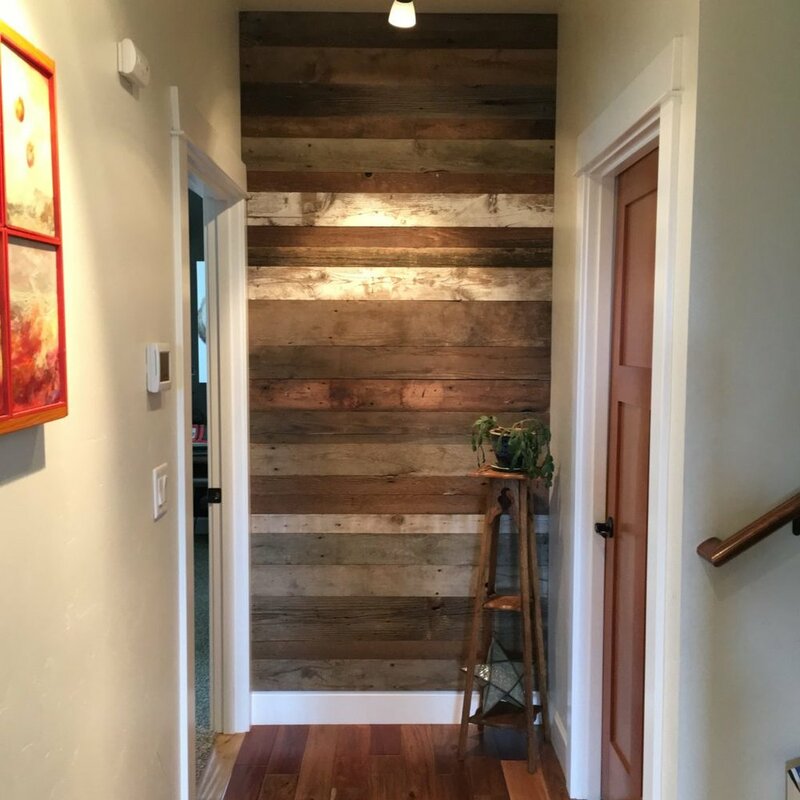 The barnwood wall. I had been thinking about doing this for a while now, but I admit that I hesitated because this is probably just a fad that we may look back on and say...Remember when everyone was into barnwood? But, I'm going to confess... Fad or not, I love it!! And, I'm so glad that I finally followed through and did it! First, we removed all the wall plates and speaker cover. 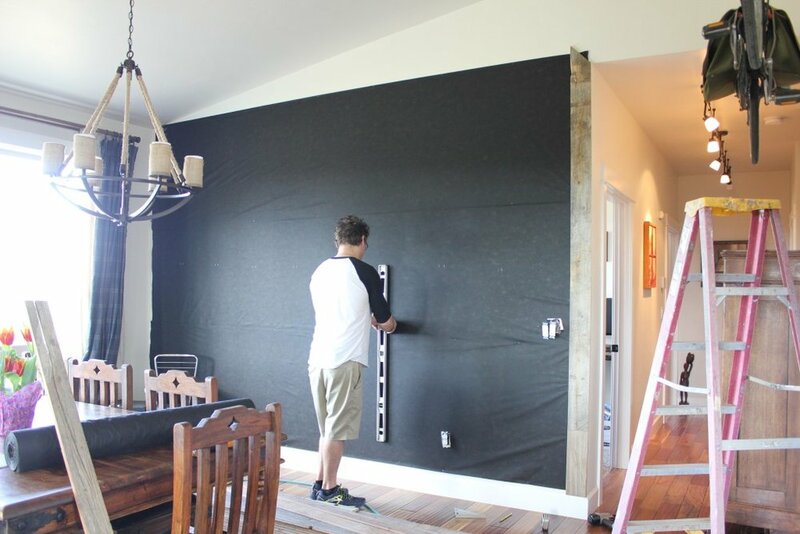 Then, we applied a thin black fabric to the wall. When I did research online, most people recommended painting the wall very dark so that the wall color wouldn't show through the cracks or knots but... I didn't feel like painting, and this was faster! So I hacked it! Next, we used a stud finder to locate all the studs. (I only see one stud in this picture :)) Then we drew vertical lines using white chalk with a level to represent the underlying framing. Time to add the boards...The fun begins. First, we placed the vertical piece to frame the doorway. Then we started at the bottom and worked our way up by finish nailing the boards to the studs, making sure to stagger the lengths so the vertical seams wouldn't line up. 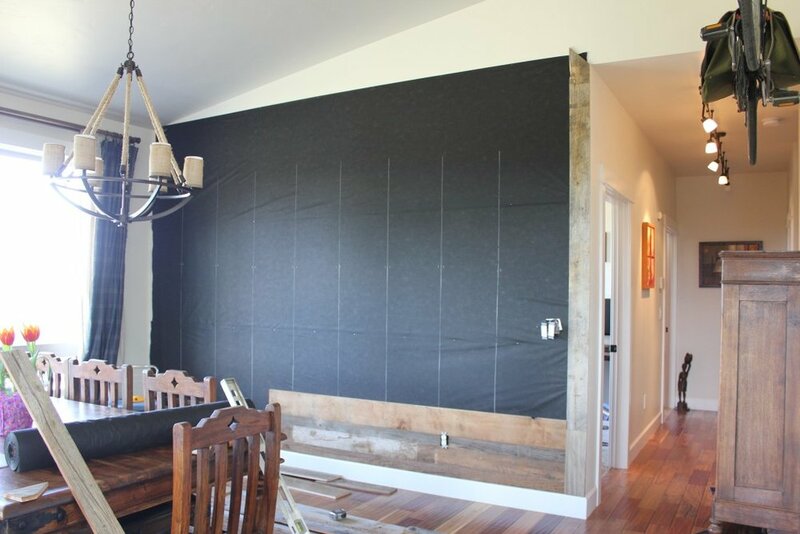 Many DIY websites recommend gluing the boards to the wall. I did NOT do that. We have a nice hand texture on all of our walls and I didn't want to mess it up; fearing that someday, I might want to get rid of the barnwood. That is also why I used the fabric, to protect the walls. 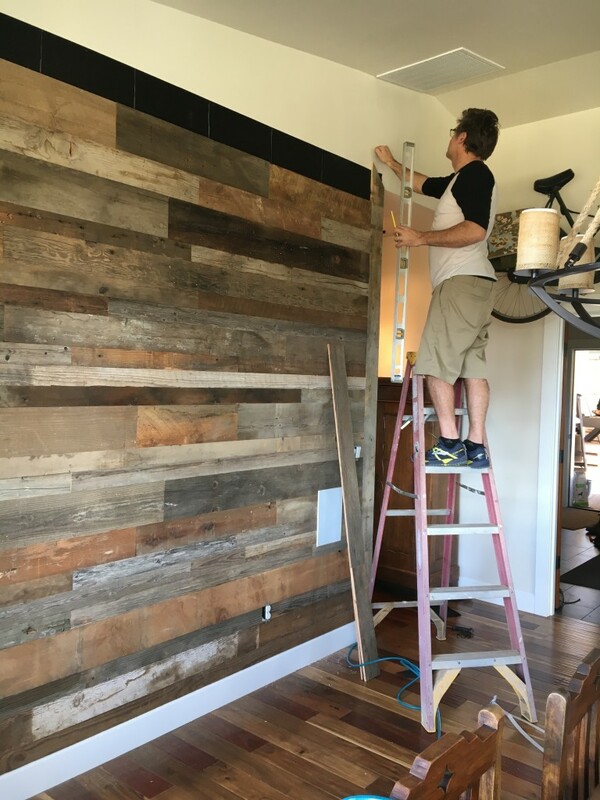 We have had the barnwood up for 3 months now and have not had any problems with it shrinking or coming loose from the wall. We also decided to do the wall at the back of the hallway. Here is the finished product... I love it! It adds warmth and texture. I think it goes perfectly in our house, too. 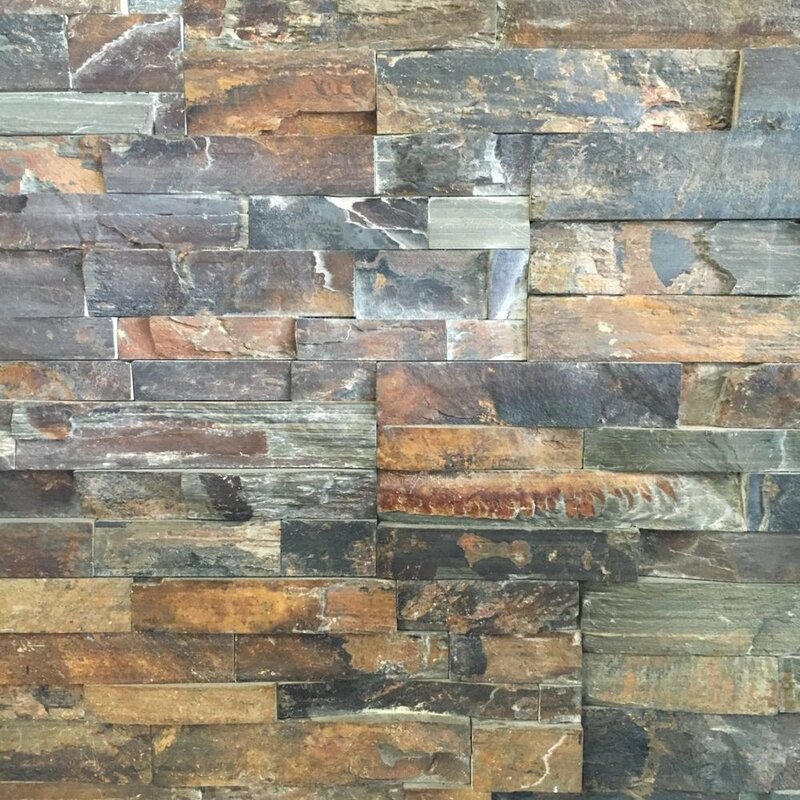 I really like how it ties in with our kitchen backsplash and fireplace stone. The three together... All of these surfaces are in the same room, but on opposing walls. Here are a few pics from the room. Ok, well...That's about it folks. Thanks for stopping by!